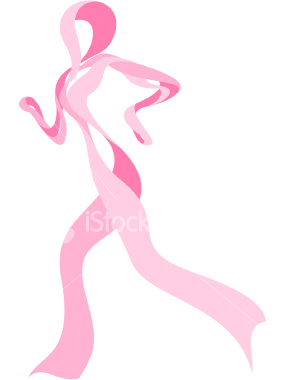 Guide: As we all know, breast cancer has been ones of major “killers” to many ladies, and the age women suffer the sick turn to more and more younger, recently, the latest medical research results show that early breast cancer can be found in young women earlier, so that they can be cured earlier, and more women can re-own a healthier body, as well as more happy times. Have you ever felt lumps under the skin on the sides of your neck when you were sick? Those might be lymph nodes. They can get swollen and painful but their job is to fight infection. Lymph nodes are part of the body's defenses known as the lymphatic system. This complex system throughout the body makes and transports a protective fluid called lymph. Lymph is made of white blood cells, proteins and fats. In a patient with breast cancer, the cancer can spread to the large number of lymph nodes under the arm. Doctors have traditionally removed many of these lymph nodes in the hope of removing all the cancer. But the latest research finds nothing to gain by removing so many lymph nodes. Doctors have two choices when breast cancer starts to spread. They can do what is called a sentinel node biopsy. They remove the main growth and one or two lymph nodes nearest to it. Or they can take more aggressive action and remove a lot of lymph nodes. But that can lead to shoulder pain and permanent swelling of the arm. Dr. Armando Giuiliano at the John Wayne Cancer Institute in Santa Monica, California, was a leader of the study. He found that a sentinel node biopsy can be enough to eliminate all of the cancer. And the patient does not need to stay in a hospital to have it done. Dr. Giuliano and researchers at other American cancer centers studied almost nine hundred breast cancer patients. In each case, the cancer had spread to no more than two lymph nodes. Half of the women had the traditional surgery. Doctors removed an average of seventeen lymph nodes. The other half had the simpler operation with just one or two nodes removed. Then both groups received radiation treatment and chemotherapy drugs. Doctor Giuliano says rates of survival five years later showed that the less invasive operation was just as successful as the more aggressive action. Doctor Giuliano said: "The five-year survival was about ninety-two percent regardless of which operation. And, wonderfully, women who had the sentinel node biopsy alone did just as well as the women who had the more radical operation." The study appeared in the Journal of the American Medical Association. Some experts say the findings could change the way surgeons treat early breast cancers that have spread to the lymph nodes. But other doctors say they want more proof before they make a change.